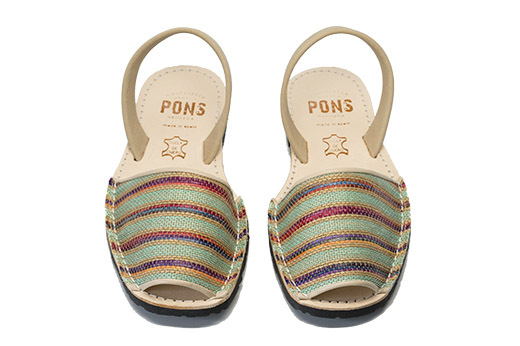 Named with inspiration from the varying colors of the Mediterranean sea, our women’s Classic Textile Pons in Water will have you dreaming of taking a dip in those turquoise waters whenever you slip them on. These sandals are sure to brighten any outfit with their altering aqua and kaleidoscopic stripes, varying from deep blues to rich pinks, and little pops of sunshine yellow sprinkled in between. 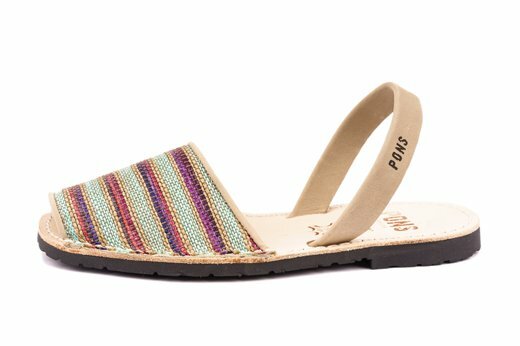 Our durable & versatile avarcas are handcrafted in Menorca, Spain with high quality woven canvas, all-natural leather lining and heel straps, and have a lightweight rubber sole.